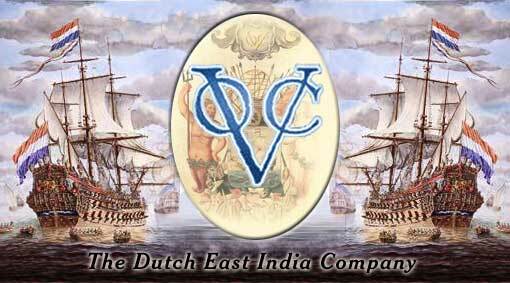 The colonisation of Mauritius by the Dutch followed a decision taken by the directors of the Dutch East India Company (Vereenigde Oostindische Compagnie – VOC) in 1637. The VOC had exclusive legal rights on the island and its directors soon came to realize that the French and the British were also mulling over to occupy Mauritius as part of their colonial empire-building strategies. If either of these rival nations claimed Mauritius, the colonial expansion of the Dutch in the Indian Ocean would have been seriously jeopardised. Mauritius occupied a strategic position where Dutch ships sailing the Indian Ocean could find a safe stopover for provisions and crew rests. Moreover, from here they could round the Cape of Good Hope securely rather than sailing through passages near the coasts of Mozambique or of Madagascar where their fierce rival, the Portuguese, were extremely active. It was also believed that Mauritius had enormous quantities of precious metals from which the Dutch East India Company could derive quick financial and economic benefits. Cornelisz Simonsz Gooyer was nominated, on 15 December 1637, by the directors of the Amsterdam chamber of the Company as the first “commander” of Mauritius. He was in charge of a small occupying force working for the interest of the VOC and the colonisation of Mauritius. Gooyer arrived with 24 colonists on 7 May 1638 - almost 40 years after the first Dutch discovered Mauritius .They reached the island on board of the Maen; one month ahead of the French. Alonse Goubert, captain of the Saint Alexis, was also sailing towards Mauritius to claim it in the name of the King of France. To house his men the governor build a fort, which was named Fort Frederik Hendrik, at Old Grand Port - the actual site of the Frederik Hendrik Museum. The “commander’s” mission was a daunting one. He had to build grass root infrastructure such as road and buildings in the faraway uninhabited island for the settlement of the colonists. Sufficient food had to be cultivated both for the newly established population as well as supplying transiting ships of the Dutch East India Company with provisions and refreshments. British and French ships often called at Mauritius to cut precious ebony trees. Gooyer was to prevent foreign nations from exploiting the resources of the island – a task he miserably failed due to an almost nonexistent military force. Several commanders came after Gooyer to strengthen the colonisation of Mauritius and exploit its natural resources. However, in July 1657 the company decided to deprive Mauritius of its garrison and abandon the island. The country was no longer viable. No precious metals have been found in its soil and the ebony forests were almost completely depleted. Frequent natural calamities and pests destroyed the crops and the population was more of a burden to the VOC than wealth generating colonists. On several occasions many people among the population had to be sent back to Batavia, the colonial administrative headquarter of Mauritius, due to lack of food. At times the Dutch workers went on strike because there was no rice and Batavia had to send in rations of foodstuffs. The last commander of Mauritius, Abraham Evertsz, and most of the inhabitants left the island on 16 July 1658 after destroying all plantations and buildings. Only one ship apprentice and two slaves who fled to the forests stayed. 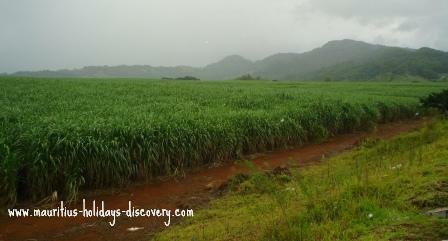 During their colonisation of Mauritius, the Hollanders introduced the plantation of sugarcane. Rice, tobacco, orange and mango trees were also cultivated. 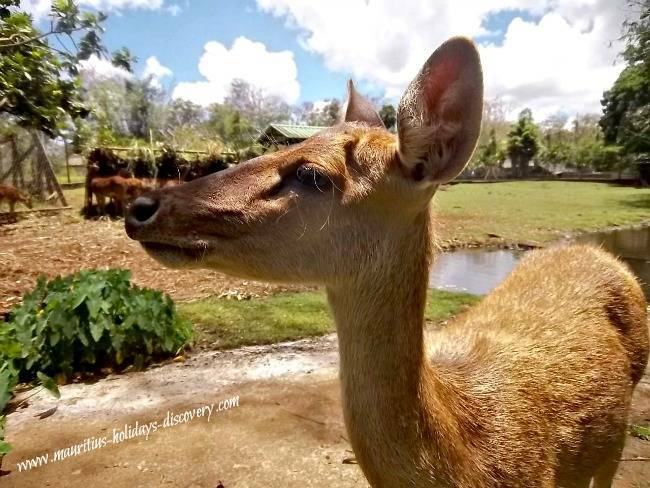 Deer brought from Java (Indonesia) was released in the forests of Mauritius and rabbits, sheep, chickens and ducks were reared. Slaves from Madagascar were also brought in to toil the fields. Due to the inhuman treatments by their masters, many escaped to the forests and were never recaptured. Continued rivalry among European powers to assert their presence in the Indian Ocean prompted the Dutch East India Company to reconsider the colonisation of Mauritius for a second time. The directors of the Company decided to send back a group of Dutch settlers. On 26 June 1664, twelve men led by commander Jacobus Van Niewlandt reached the island on board of the ship Waterhoen.Their mission was to make Mauritius a prosperous colony. All succeeding commanders to the colony had strong will and high hopes to develop the island into a viable economy. Unfortunately each one sullenly failed in their endeavours to colonise Mauritius. Reports kept in their respective journals revealed recurrent fundamental issues which led to the collapse of the economy. The directors of the Dutch East India Company were not really interested to invest sufficiently to make the colony a success. They were more about realising quick returns on their investments through the exploitation of ebony forests and ambergris – a substance rejected by the whales on the shore of Mauritius. At that period ambergris, used in perfumery, was extremely valuable. The company sent free colonists to inhabit the island rather than experienced farm workers and skilled labour. Many were invalids, adventurers, crooks or ex-convicts who refused to cultivate the land and rear cattle. They hunted for food instead. Often they indulged themselves in drinking, stealing, trafficking and profitably trading with passing ships – especially British and pirates’ ships. Severe climatic conditions exacerbated the situation. Cyclones, floods and droughts destroyed crops, buildings and mills. Cereals like wheat, barley, and oats did not ripen properly and was often destroyed by rats and pests. Through the lack of skilled artisans and materials buildings were left in a derelict state. Rebellions among the slaves, who always defied oppressions from their masters, were frequent. Many fled to the forests and frequently attacked the colonists from there. In retaliation the colonists inflicted extremely inhuman punishments upon those who revolted or were recaptured. Many were tied to crosses fixed on the ground and their flesh was torn from their bodies with scorching thongs. They were then left alive till sunset before being put to death. Such cruel punishments fuelled much more animosity. Fugitive slaves were more numerous and better armed. They repeatedly attacked the settlers, who along with their families, constantly lived in panic. Terror also came from the sea. Pirates and British ships, facing no resistance from an insignificant military force, were continuously calling at the ports build by the Dutch to impose their will and freely plunder resources. On 23 July 1706, the directors of the VOC, overwhelmed by the series of problems and calamities facing the colony, signified their intention to abandon Mauritius once again. Gradually the settlers started to leave the island. On 17 February 1710, the last colonists along with commander Momber left the island on board of the ship Beverwaart. By abandoning the colonisation of Mauritius, the Hollanders freed the island for the French to come and settle here.